National Poetry Month is nearly here again, so beginning April 1, this blog will be all about poetry! And this time, I am organized. I've got the whole thing planned out into four one-week chunks. And it's gonna be great! 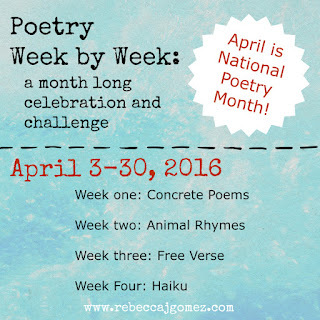 Beginning April 3, each week will be dedicated to celebrating a specific type of poetry. During each week, I will share favorite poems in each category, review at least one book, and invite guest poets to share their poems and/or inspiration with you. But that's not all. There is also a CHALLENGE! Originally I had planned to challenge myself to write at least one poem each day during April, and then choose one of those poems each week to share here on the blog. But I was afraid of failure. So instead, I challenged myself to write a few poems each week, according to the schedule below, and then post my favorite at the week's end (beginning on April 9). I would love to have you join me in this challenge, which is all very informal. To play along, simply leave your poem in the comments at the end of each week! 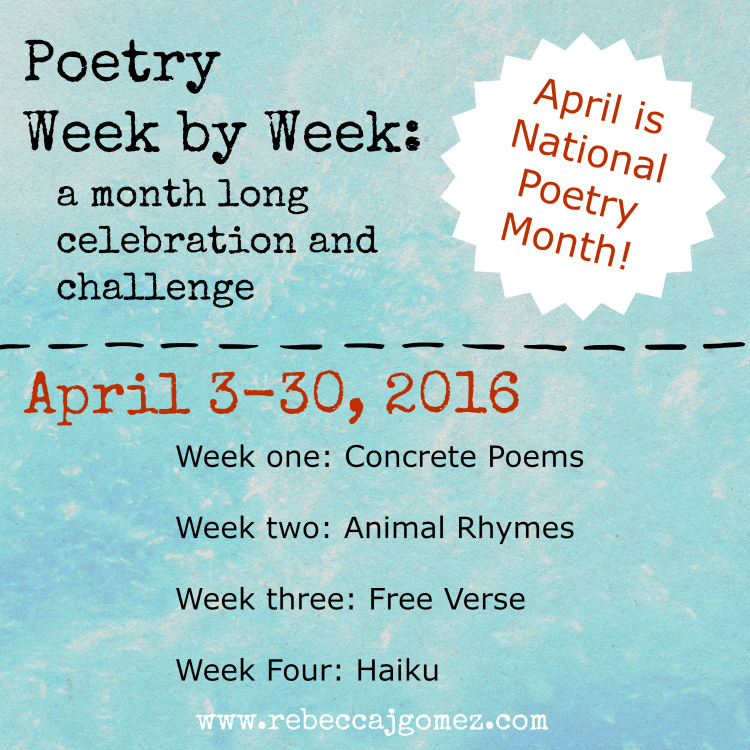 The only "rule" is that each poem should fit that week's category. Although, to be honest, if you end up inspired to write something else and want to share it, I won't complain!